Since the vinyl debut in 2014, London-based and Italian-run Blackwater Label has put out several releases, trying to get a foothold in the overly competitive techno section. With reasonable success, if to mention Lamanna & Fire At Work’s EP from the better end of acid techno or sturdy club tools by Subion. 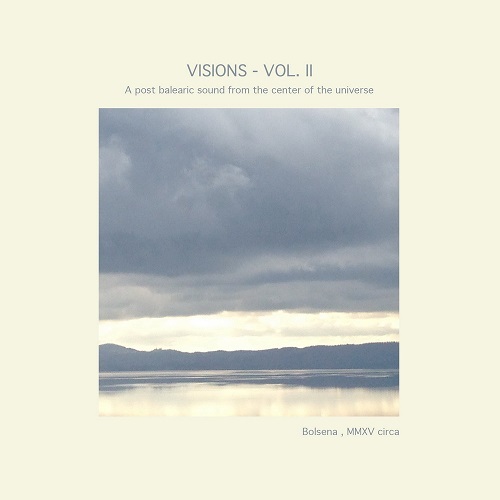 “Visions Vol. II” is Blackwater’s second digital compilation, of which a small quantity is released on CD, and besides aforementioned artists it mostly belongs to new acquaintances. 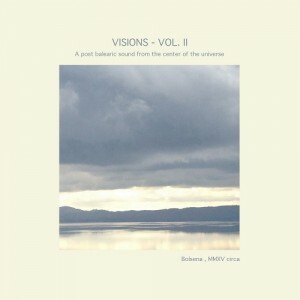 Sub-headline ‘post-Balearic sound from the center of the universe’ reflects the compilation’s leisure factor and a couple of tunes can fit the playlists of prosecco lounges. The focus is on downtempo moods, a collection of ambient and experimental themes by techno artists, working the best in one go. Though there are several tracks that can work on their own, like the gloomy opener “Heidi Is Dead” by Key Clef, Fire At Work’s crawling electronica “Ritual Of Clones” and “Albe Irreversibili”, Livio Improta’s set of sawtooth sequences on ardent dub techno. For more relaxed feelings try Fini & Lamanna’s sunrise guitar theme “Laconic” or Loris Ligonzo’s inward-looking “Wandering”, while Tau Ceti’s “Salto Nel Buio” is an exercise of modular drones. Difficilmente Elogio i miei Colleghi in Termini di Qualità e Visioni Musicali, mi rendo sempre conto che parlare di Musica a Roma e in Italia e’ veramente Difficile,ma dopo Epicut unico vero Innovatore Arriva Spyigest aka Christian Valli che divide le sue Produzioni & Talento tra Roma & Berlino.Vision 2 e’ a mio avviso il giusto Connubio tra Visione & Innovazione Elettronika e sono fiero di conoscere persone Talentuose di questo Livello.